One of the most fundamental responsibilities in the NHS is to decide what services will best meet the needs of patients and local communities and ensure high quality outcomes, maximise patient choice and secure efficient use of NHS resources. 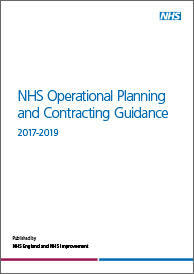 Under the new arrangements established by the Health and Social Care Act 2012, responsibilities for commissioning are split between NHS England and local Clinical Commissioning Groups (CCGs). Commissioning Plans will provide an important opportunity to rethink the way local health services are provided – especially when taken together with other aspects of the new arrangements – such as the responsibilities on Health and Wellbeing Boards to promote integrated working with other care services.